Math Genie was founded in 2008 by Mohit S. Jain and his wife, Naina. Mohit, who was born in Bhopal, India, was a poor student who was never engaged in his studies. Still, he attended college but graduated at the bottom of his class. When he came to the United States, he realized that all the high-paying jobs were in technology, but he didn’t have an engineering degree or a background in computer science. Determined to break into the field, he began to research learning methods that yielded rapid results. He learned that everybody has a different learning style. Once he figured out his own, he was able to teach himself programming in three months. He quickly found a job as an IT consultant at Goldman Sachs, where the environment was intensely competitive. He had to hold his own against his boss, an MIT graduate, and co-workers who had graduated from elite universities in the United States and abroad. On a trip back to India, he saw local students doing math using the abacus, an ancient calculating tool. Mohit saw at once what an effective way this was for children to learn math and decided to bring the concept back to the United States. But he knew he would have to modify the program to make it fun and engaging for American children. He convinced his wife to give up her Real Estate career and write the Math Genie curriculum. She spend the next few years writing the curriculum. They opened their first math after-school tutoring program in East Brunswick, New Jersey, on Route 18 in a small storefront. Their first class had three students. The first few months were pretty tough. They were unsure whether the program would work or even if they had the skills necessary to develop it, but their first success story came pretty quickly. A local parent, Keith S., had a son, Michael, who was struggling in school. The teachers had written him off so his father brought him to Math Genie. In a few weeks Michael showed improvement. In nine weeks, his father said, Michael had learned more at Math Genie than in the entire school year. Soon other parents began to take notice. Some travel as far as 30 miles to bring their children to Math Genie classes. 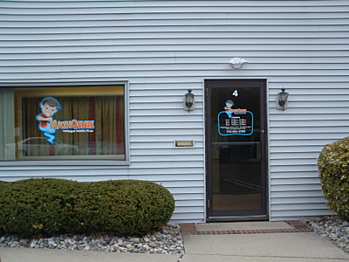 Soon the company grew and expanded to a second location not far from East Brunswick on Hadley Place in South Plainfield. 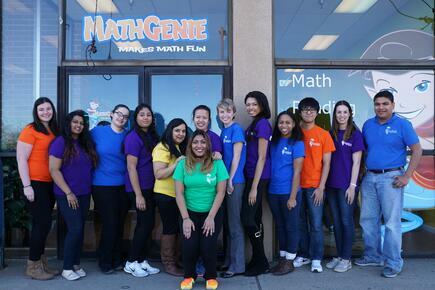 Today Math Genie has over twenty eight teachers in 5 locations and has successfully tutored more than 3000 students. Math Genie’s philosophy is that every child is born with the potential to be a genius. All that needs to happen is to challenge the child in an engaging environment. That is the mission of Math Genie. To help parents discover the genius in their children.